LAS VEGAS, January 6, 2001 – The Rechargeable Battery Recycling Corporation (RBRC) announced today that its rechargeable battery recycling program — Charge Up to Recycle! — is expanding to recycle all portable rechargeable battery chemistries, effective this month. The move comes after extensive research showed that many of RBRC Licensee companies, which include more than 300 manufacturers and marketers of portable rechargeable batteries and products, would support an expansion from RBRC’s Nickel-Cadmium (Ni-Cd) rechargeable battery-only operation to a comprehensive rechargeable battery recycling program. Later this month, RBRC’s Charge Up to Recycle! program will begin collecting Nickel Metal Hydride (Ni-MH), Lithium Ion (Li-Ion), and Small Sealed Lead (Pb)* rechargeable batteries for recycling. By doing so, RBRC broadens the list of wireless products powered by recyclable rechargeable batteries and strengthens its call-to-action message. RBRC is a non-profit organization located in Atlanta. The organization was created with the mission to raise public awareness of rechargeable battery recycling and to implement recycling programs where none exist. RBRC created the Charge Up to Recycle! Program to recycle Ni-Cd batteries, the most common type of portable rechargeable battery. 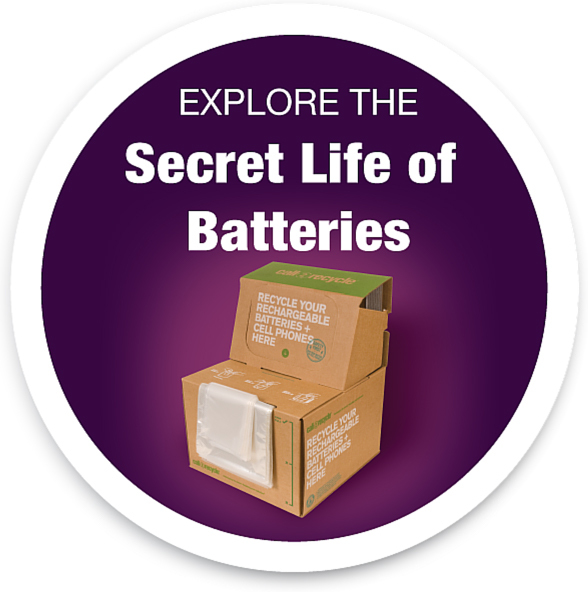 Today, there are more than 30,000 retail and community battery collection locations throughout the U.S. and Canada participating in the Charge Up to Recycle! program. RBRC will use this existing structure to collect and recycle the additional rechargeable battery chemistries. Consumers can find the nearest drop-off location by going online at www.rbrc.org or by calling 1-800-8-BATTERY. National U.S. retail stores participating in the program include: Ameritech, Batteries Plus, BellSouth Cellular, Black & Decker, Cellular One, Circuit City, GTE Wireless, Orchard Supply, RadioShack, Sears, Target, Wal-Mart, and Wireless Zone. National Canadian retail stores include: Astral Photo Images, Authorized Motorola Dealers, Battery Plus, Black’s Photography, Canadian Tire, Future Shop, Home Hardware, London Drugs, Makita Factory Service Centers, Personal Edge/Centre du Rasior, RadioShack, Revy, and Zellers. * less than 2 lbs. or 1 kg.